On summary judgment, the district court held that Rexam did not infringe Crown’s patent beverage can-top patent. The lower court also found that that Crown did not infringe Rexam’s beverage can “necking” patent. On appeal, the Federal Circuit reversed both rulings. The Doctrine of Equivalents: Over the past two decades, the doctrine of equivalents been pushed out of the usual infringement discussion. Part of the doctrine’s downgrade is due to restricted application due to prosecution history estoppel (Festo) and tighter doctrine (Warner-Jenkinson). Perhaps equally important in the decline of the DOE has been the rise of claim construction as the primary variable of patent litigation. Rather than arguing for infringement as an equivalent, applicants are instead arguing for broad construction of the claim terms. Finally, patent drafters are – on average – better today than they were twenty years ago and spend more energy on considering how to draft claims that capture literal infringement. In a 2007 paper, Professors Lemley and Allison found something similar – that since the late 1990’s (even before Festo), that “equivalents claims usually failed, most often on summary judgment.” Their paper title – “Demise of the Doctrine of Equivalents” – overstates its case. The DOE is sometimes valuable. Summary Judgment on DOE: Here, the issue was not so much the law of the DOE, but rather the requirement for summary judgment that there be no remaining material issue of fact. 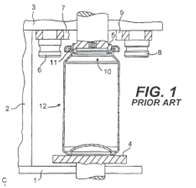 Crown’s patent claims an “annular reinforcing bead,” while Rexam’s product uses a reinforcing fold. The lower court found those different enough to avoid infringement under the DOE. On appeal, however, the Federal Circuit reversed – finding at least one unresolved material issue of fact that precluded summary judgment. DOE requires expert testimony to step through the function-way-result test. And, here, the patentee’s expert stepped through each element and his testimony had not been completely indicted or even refuted. 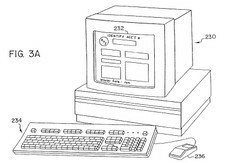 Because Crown provided evidence in support of its position that the annular reinforcing bead of claim 14 of the ‘826 patent had only one function, and because we must resolve any reasonable factual inferences in favor of the nonmoving party, we conclude that there is a material issue of fact regarding the function of the claimed bead. Accordingly, we reverse and remand the district court’s grant of summary judgment of noninfringement. Unmarked Sales by Licensee: In a scenario reminiscent of the recent Quanta v. LG case, Rexam licensed its patents to Belvac to make “neckers” used to stretch out the top of the can bodies. Under the license, Belvac was required “to notify its customers that they would require a separate license from Rexam to perform the smooth die necking method” that is claimed in Rexam’s patents. The license did not require Belvac to mark the machines that it sold. And, in fact, Belvac did not mark them with the Rexam patent number. Crown then used the machine to make over one hundred billion cans. Marking under 35 U.S.C. § 287(a): The district court found that this past infringement was not actionable because Crown was not on notice of the patent. That decision seemingly follows from 35 U.S.C. § 287(a). Under that provision, a patentee who does not properly mark a patented article “is not entitled to damages for infringement prior to actual notice.” (quoting CAFC decision). Thus the patentee is free to claim damages back six years under Section 286 even without marking or providing actual notice. This decision thus provides an additional reason to include method claims in a patent application. Now, it would be improper to conclude that there is no reason to mark products that perform method claims. In the 1993 American Medical Systems case, the Federal Circuit ruled that marking would be required if “both apparatus and method claims” were asserted and there is a “tangible item to mark.” In this case, the patent claimed both a method and apparatus, but Rexam sued only on the method claims. Sua Sponte Summary Judgment: A summary judgment motion for non-infringement must at least point to “specific ways in which the accused system [does] not meet the claim limitations.” (Exigent Technology). Without at least that threshold level of information, the court must reject such a motion. Here, the court issued its summary judgment decision on sua sponte grounds (i.e., using grounds that had not been particularly raised in the SJ motion). Because EON did not have an opportunity to respond, the CAFC vacated and remanded. Sanctions: Normally, an attorney is required to perform a “reasonable pre-filing inquiry” that includes an infringement analysis prior to filing a patent infringement complaint. Here, the district court sanctioned Eon’s counsel for not performing such an inquiry. In a major exception to the inquiry requirement, however, “an attorney may not be sanctioned solely for failing to conduct a reasonable inquiry as long as the complaint is well-founded.” Of course, in patent cases, a patent claim can rarely be deemed unfounded prior to claim construction. SafeTCare v. Tele-Made (Fed. Cir. 2007). SafeTCare’s patent covers a bariatric hospital bed designed for obese patients. On summary judgment, the district court found that the Tele-Made beds do not infringe. Other defendants and counterclaims are still pending. Jurisdiction: On appeal, the CAFC sua sponte questioned jurisdiction. Because the judgment was not complete as to all parties and the judge had not issued a Rule 54(b) order of appealability (See Bashman), the CAFC did not have jurisdiction at the time of oral arguments. However, the CAFC allowed the parties time to ask for such an order from the district court before dismissing the appeal. (This pragmatism is perhaps due to Judge Robinson’s place on the panel). Upward Force: SafeTCare’s patent requires a plurality of motors exerting a pushing or upward force on the bed. Tele-Made’s motors are essentially attached to one end of a lever, and by pulling down, cause an upward force on the other end of the lever. However, because SafeTCare’s specification implied a direct link between the motor and the bed, the levered approach was non-infringing. Prosecution history estoppel blocks DOE coverage. On summary judgment, the Massachusetts District Court found the Omegaflex pipe-fitting patents novel, nonobvious and infringed. Parker appealed. Respect the Expert: On several points of contention, the district court gave no probative weight to Parker’s expert’s testimony. 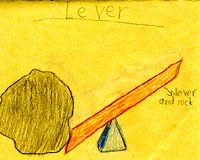 On summary judgment, the evidence should be weighed in the “light most favorable” to the non-movant (Parker). Because the expert testimony creates issues of material fact, the CAFC reversed and remanded. In dicta, the three-member panel (Judges Michel, Dyk, and Garbis) probed the Supreme Court’s recent KSR decision — noting that it will continue to look for some reason to combine prior art references in an obviousness rejection.